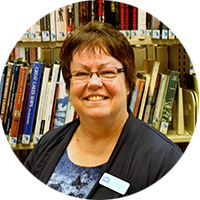 Alumna Donna Olson (MLIS '07) has accepted the position of Director at the Salem-South Lyon District Library in South Lyon, Michigan. She is taking on this role after the retirement of Library Director Doreen Hannon, also a SLIS alumna (MLIS '00), who served as Director for over ten years. Read more about Donna and her vision for public libraries in USA Today. Many congratulations to you, Donna, as you begin your new role. Best wishes for a relaxing retirement, Doreen!